The recall concerns 2008-2011 model year C300, C300 4MATIC, C350, and C63 AMG models with possible tail light issues. 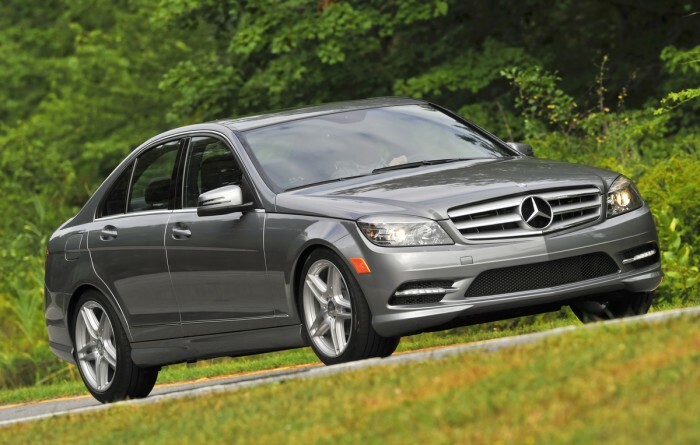 The 2011 C300 4MATIC is one of the models named in today’s Mercedes-Benz recall. Mercedes-Benz has announced that it will be recalling certain 2008-2011 C300, C300 4MATIC, C350, and C63 AMG vehicles manufactured from January 26, 2007 to July 13, 2011. The Mercedes-Benz recall, affecting a total of 252,867 units, addresses the issue of a poor electrical ground connection that could potentially result in the dimming and/or failure of tail light bulbs. The failure of taillights can make difficult the process of notifying other drivers of your intention to stop or turn (as anyone who’s ever received a ticket for a busted taillight can attest), which can increase the possibility of being involved in an accident. In the pantheon of recalls issued in 2014, this one falls somewhere on the lower half on a scale of 1-to-General Motors, but it is nonetheless important to address the problem when the interim notification arrives sometime in June. Parts are expected to be delivered by August or September, which means owners of the affected vehicles would do well to be vigilant when braking or turning. When the necessary parts arrive, owners can report to dealerships to receive replacement bulb holders and connectors free of charge. Owners may contact Mercedes at 1-800-367-6372. Owners may also contact the National Highway Traffic Safety Administration Vehicle Safety Hotline at 1-888-327-4236 (TTY 1-800-424-9153), or go to www.safercar.gov. For more news on the Mercedes-Benz recall, as well as the latest recall alerts, stay tuned to The News Wheel.